Have you heard? Greenery is all the rage right now. This adorable DIY boutonniere recipe was sent to us from the talented folks at MD's Florist. With only four types of greenery needed it's easy to assemble for your groom and groomsmen. If making several boutonnieres seems a little overwhelming, why not make a party of it? Grab all your bridesmaids the night before and don't forget the a bottle of rosé! Below you'll find a list of everything you'll need to recreate this cute boutonniere in a jiffy. 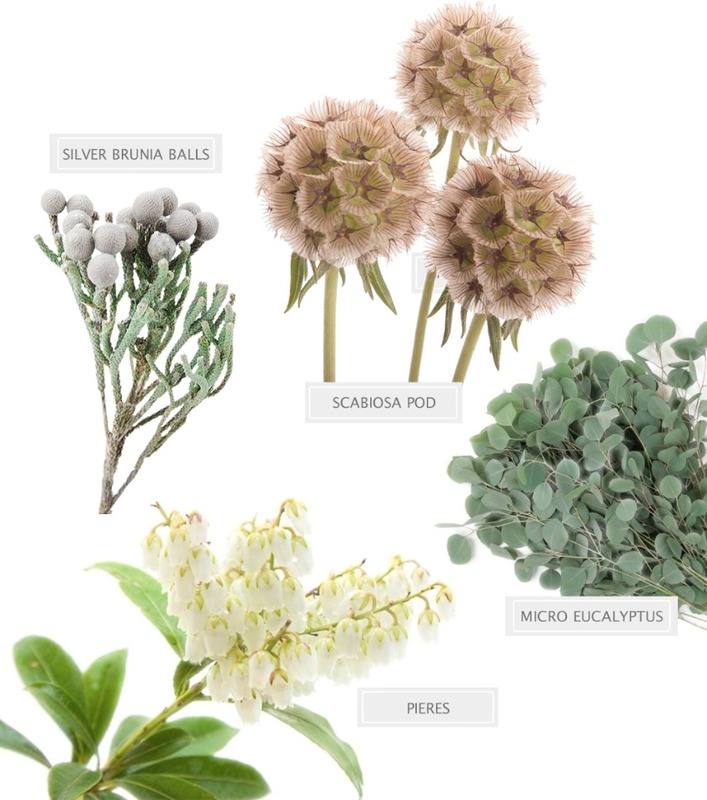 Greenery needed: Micro Eucalyptus, Pieris leaves, Scabiosa pod and silver brunia. 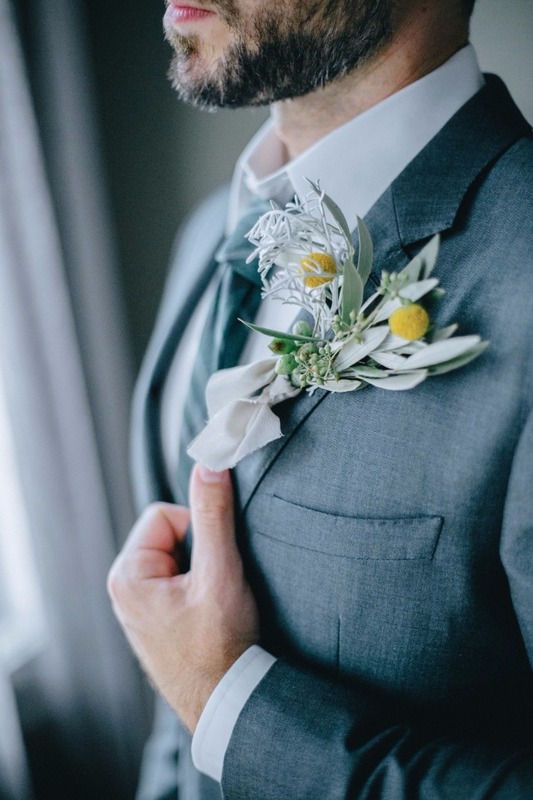 Find exactly what you're looking for below, plus find more boutonniere inspiration in case you want to mix it up a little. 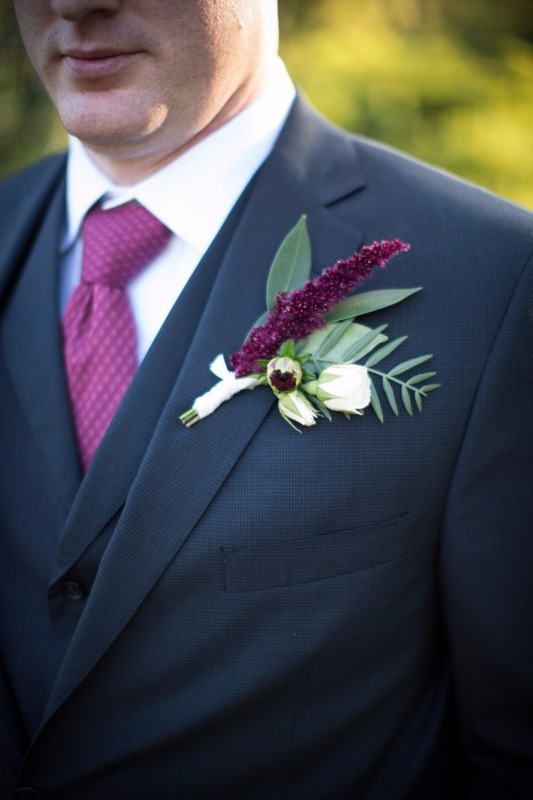 Follow our DIY boutonniere on how to easily assemble your boutonniere. Once complete you can store them in the fridge until needed. 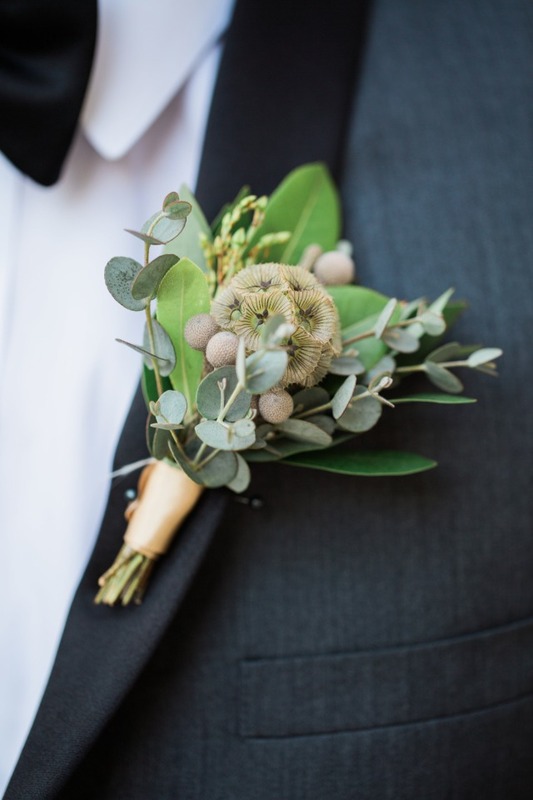 Find more must-see boutonniere inspiration below! 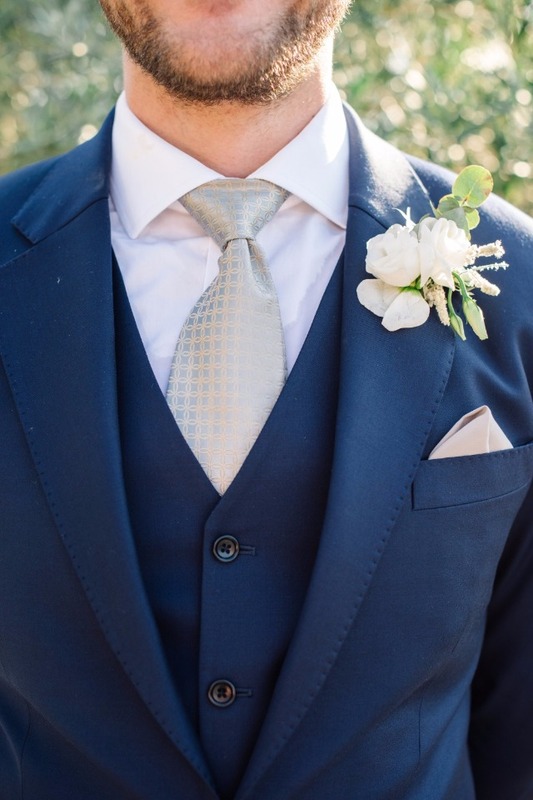 We love how the white flowers pops against this navy suit. 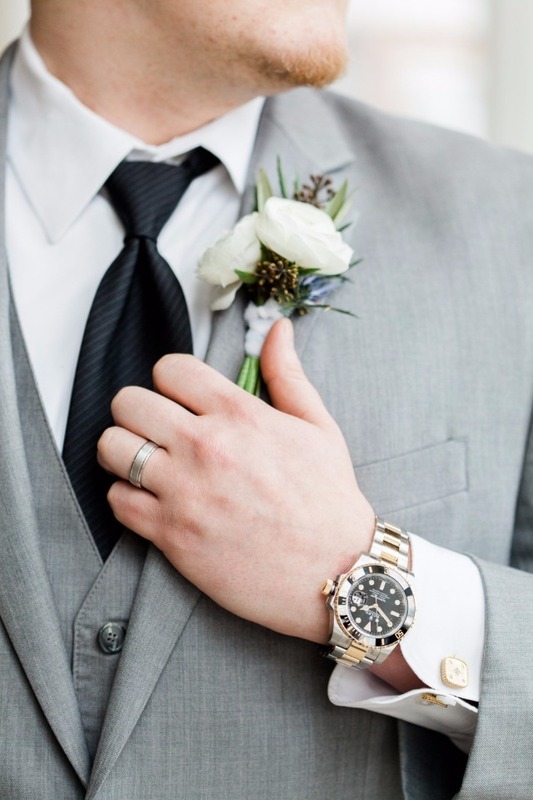 Just wait till you see this stylish wedding. Mix lighter greenery with darker greenery for some added depth. Don't miss these blue and grey wedding ideas. Billy Balls add a fun pop of color against the pale greenery! See more of this neutral tones wedding. Add flowers that match the color of his tie. See the rest of this fall garden wedding.